Simon Yates has given up the chance to lead Orica-GreenEdge in the Tour of Turkey to take aim at the Flèche Wallonne and Liège-Bastogne-Liège next week in Belgium. The Australian team gave the 22-year-old Englishman the chance to go to Turkey after twin brother Adam crashed and broke his finger in the Tour of the Basque Country. Adam was due to lead the team again in Turkey after winning the overall in 2014. “He’s an ambitious young fella,” sports director, Matt White told Cycling Weekly. “Nothing seems to faze him and Adam. Going to the Tour de France as a neo-pro and leading teams in WorldTour races. “The Tour of Turkey is not a WorldTour race and he’s definitely capable of winning it. I gave him the chance to lead our team there. Simon will fly from Girona, Spain, to Belgium on Tuesday ahead of Wednesday’s Flèche Wallonne. He also will race Liège-Bastogne-Liège, a longer classic at 253 kilometres, and the Tour of Romandie from April 28. In his debut professional season last year, he raced Flèche Wallonne and went to Turkey to help Adam win the overall. In the third stage, he fractured his collarbone. White explained that from what he has seen already, Simon is ready to win the Flèche Wallonne this season. 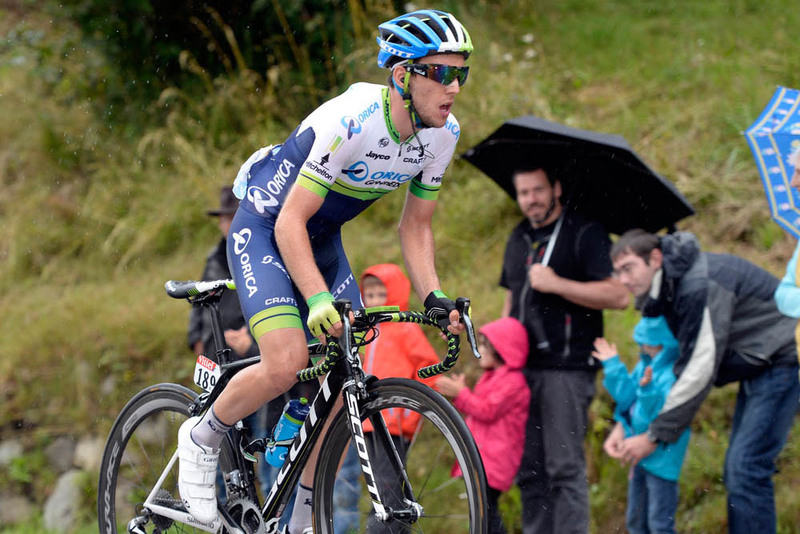 Last week, Yates placed fifth overall in the Tour of the Basque Country behind winner Joaquím Rodríguez (Katusha). Sky’s Sergio Henao placed second, Nairo Quintana (Movistar) fourth and several other stars – including world champion Michal Kwiatkowski (Etixx-Quick Step) and Tejay van Garderen (BMC Racing) – finished behind Yates. White decided to have Yates skip the Amstel Gold Race this Sunday to give his young star a chance to rest and recover. In Flèche, which finishes up the 1.3-kilometre Mur de Huy, he will be able to lead the team with Swiss Michael Albasini. While Simon had the chance to ride in the 2014 Tour de France, this year both twins are on the list to race for the Grand Tour, which kicks off in Utrecht on July 4.